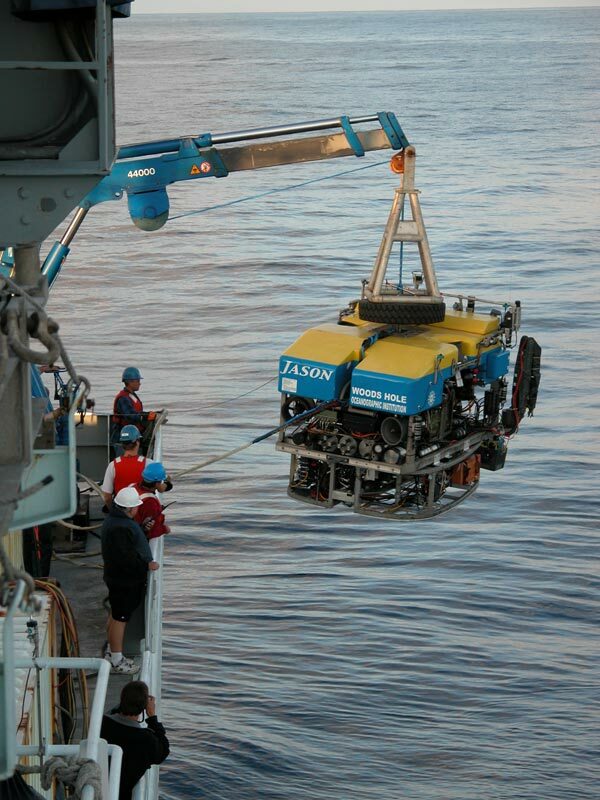 Woods Hole "Jason" vehicle with Kraft Predator manipulator. For over 25 years Kraft has designed and manufactured manipulator systems for the most demanding undersea applications. 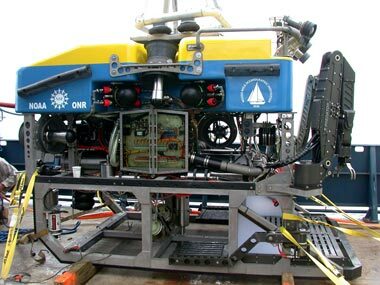 As a pioneer in subsea robotics technology Kraft's roots go back to the earliest days of ROV and manipulator arm development. Today, Kraft manipulator arms are used in the deep ocean environment in support of the offshore oil & gas industry, and by the world's leading ocean science organizations. Major international underwater contractors use Kraft manipulator arms to perform subsea tasks in support of offshore oil exploration, deep water drilling and underwater construction activities. 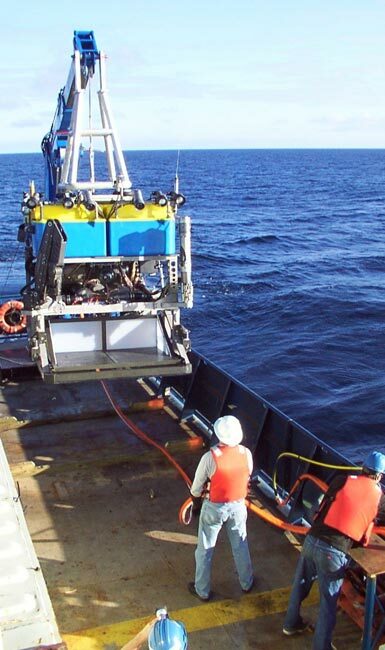 Within the ocean science community, our manipulator arms are routinely used to perform a variety of tasks such as the collecting of biological, geological and fluid samples. In meeting this challenge, the number one reported reason for using Kraft arms, is productivity at the sea floor. Simply put, our customers tell us that they can do more (get more science done) in a shorter period of time using a Kraft manipulator. The wide spread acceptance of Kraft manipulator systems within the ocean sciences community, has led to their use in numerous scientific expeditions. Kraft force feedback control technology has greatly enhanced the process of using a remote manipulator arm to recover archeological treasures, and to collect samples of delicate marine life from the oceans depths. 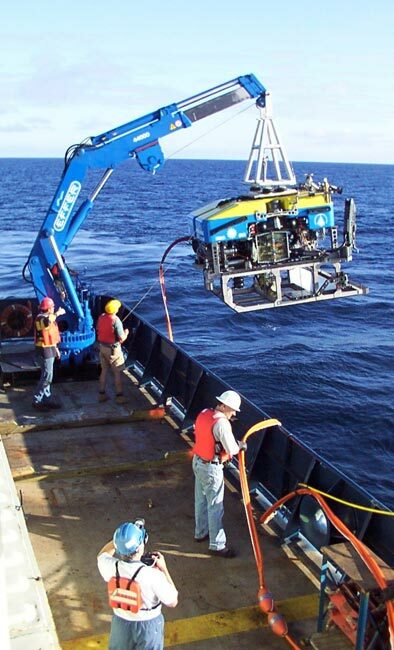 Kraft force feedback manipulator arms have been used in support of a large number oceanographic expeditions around the world, including Bob Ballard's well known RMS Titanic expedition of 2004. For information about these fascinating expeditions click on any of the above links. 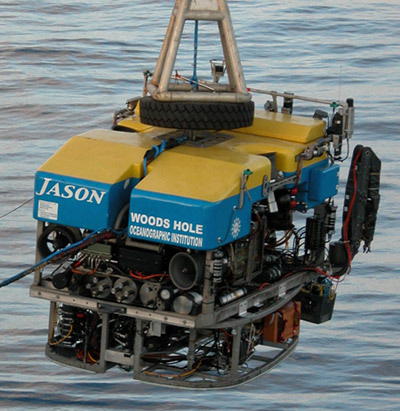 The Woods Hole Oceanographic ROV "Jason" is able to explore in water depths as great as 6,500 meters (4 miles) deep. Using its' Kraft force feedback "Predator" arm, Jason is able to collect samples of rock, sediment, or marine life in addition to performing a variety of other tasks on the seafloor.